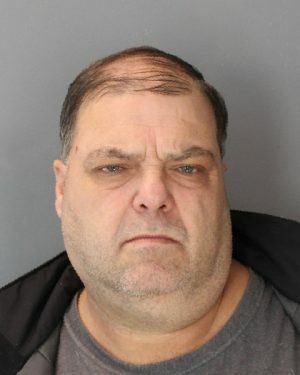 OSWEGO – On Thursday, October 18, at approximately 10:30 a.m., investigators with the Oswego County Drug Task Force arrested Edward B. Merriam, 54, of 280 Maple St., on an arrest warrant issued out of Oswego County Court. The charges stem from a DTF investigation in which it is alleged that Merriam sold crack cocaine on two separate occasions in the summer of 2018. Merriam was arraigned on the charges in Oswego County Court and released on his own recognizance. Merriam is due to reappear in Oswego County Court on October 29 at 8:45 a.m. These charges are separate and distinct from Merriam’s arrest by the DTF in September of 2018 (See below). The Oswego County Drug Task Force is comprised of members from the Oswego County District Attorney’s Office, Oswego County Sheriff’s Department, NYS University Police at Oswego, U.S. Border Patrol. U.S. Homeland Security Investigations and Oswego City Police Department. On Tuesday September 25, 2018 at approximately 3:19 p.m. Investigators with the Oswego County Drug Task Force (DTF), in conjunction with the Oswego City Police Department, executed a narcotics related search warrant on a 2005 Chevrolet Cobalt, and its occupants, as it traveled northbound on St Rt 481 within the City of Oswego. A short time later, a related search warrant was executed at 280 Maple St. Oswego. It is alleged that the defendants possessed the crack cocaine with the intent to sell such. The street value of the seized crack cocaine is estimated at approximately $1,400. Both defendants were arraigned in Oswego City Court. Merriam was remanded to the Oswego County Correctional Facility in lieu of $10,000 cash bail or $20,000 bond. Huber was remanded to the Oswego County Correctional Facility in lieu of $2,500 cash bail or $5,000 bond. Both are scheduled to return to Oswego City Court on October 2, 2018 at 9:30 a.m.